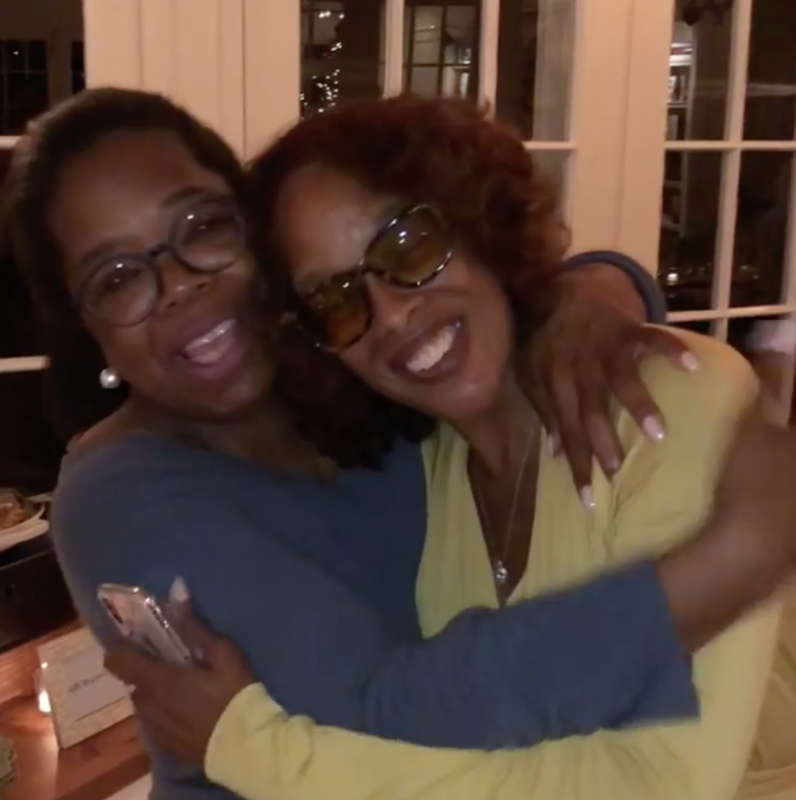 OPRAH WINFREY didn’t let Gayle King’s birthday pass without a tropical celebration. The TV mogul celebrated her best friend’s 63rd birthday last Thursday by throwing an intimate dinner. The dinner was held while the two vacationed in Maui together with their families, including Winfrey’s longtime boyfriend Stedman Graham. Both Winfrey, 63, and King shared photos from the dinner, which included a white birthday cake with “Happy Birthday Gayle” written on it in cursive, according to photos shared on social media. The menu also featured glazed carrots, Dover sole meunière, braised short ribs, skillet potatoes, butter lettuce salad with pears and truffle au gratin cauliflower. Giving her fans a look at the menu, Winfrey described the dinner in a video, joking that “it’s almost Weight Watchers” approved. Winfrey is a spokeswoman and part owner of the weight loss brand. King said her birthday ended by watching a movie with her “fav daughter” Kirby Bumpus. “We wore matching camo outfits but don’t tell & truffle popcorn!” King wrote in a caption on Instagram.